The strategists sit across from one another, deep in concentration. Tonight they face each other as both colleagues and rivals. Between them lies the chessboard, the battlefield on which this decisive war is fought. 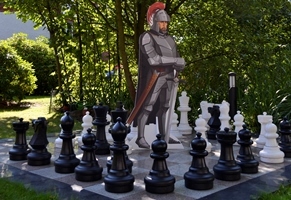 Each move requires careful deliberation: black rook to G7. White knight to A4. 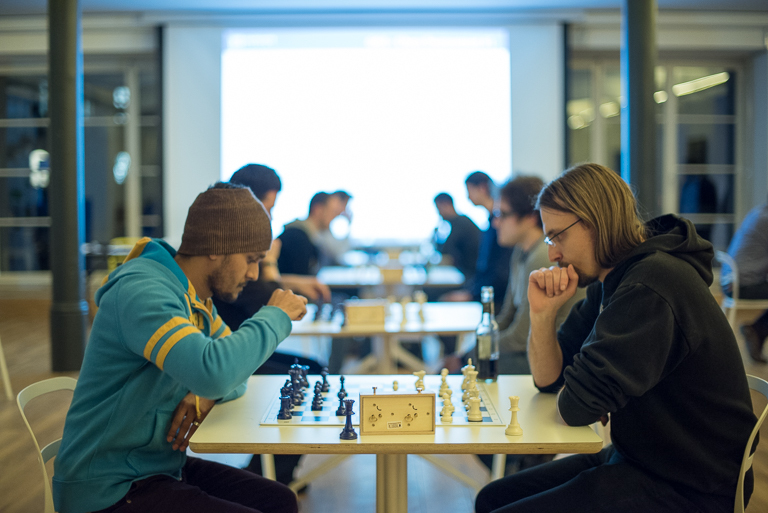 Checkmate.It was the first Goodgame Studios internal chess tournament, which took place over three evenings in our café. After the first two major qualification rounds, only the 40 best chess strategists remained. Yesterday they went head-to-head in the final knock-out tournament. The championship game came down to Julian from product management and Stefan, our CTO. In the end, Stefan proved victorious and took home the impressive and much coveted Goodgame Chess Trophy. We’d also like to congratulate Julian and Sebastian from Game Balancing, who took home 2nd and 3rd place, respectively. 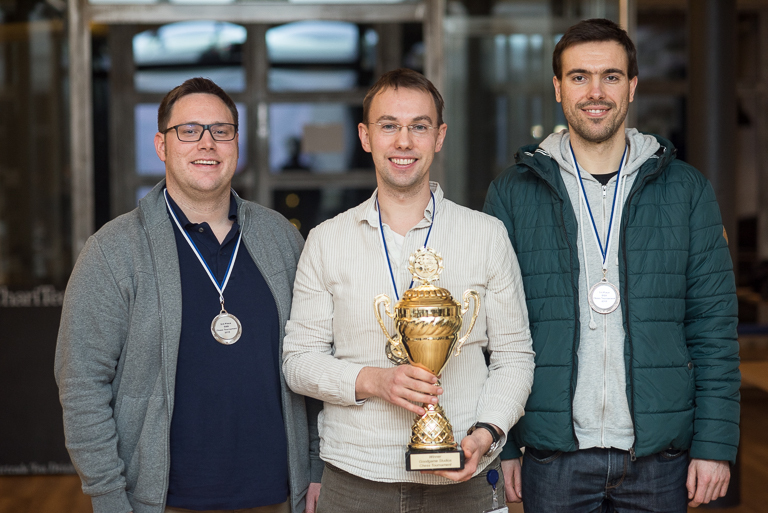 The tournament was organized by our team lead of community management, Andrej, and our event team. Andrej first came up with the idea last summer while playing a few rounds with our giant chess set on the Goodgame campus. We’re already getting excited about the next tournament – we can’t wait to see if Stefan can defend his title or if he will have to pass it on to the next champion!